Death Stranding stage event set for final day. 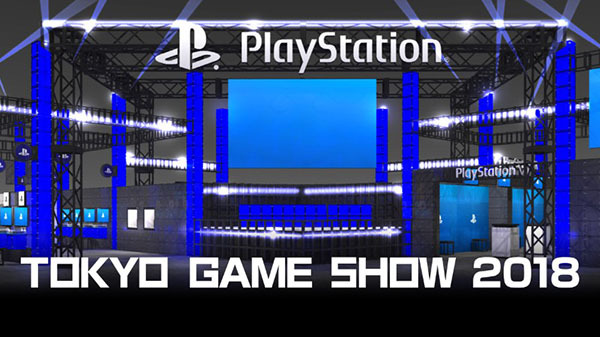 Sony Interactive Entertainment Japan Asia has opened its official Tokyo Game Show 2018 website, revealing its lineup and schedule of stage events for the exhibition. The lineup reveals two previously unannounced titles: Conception Plus: Ore no Kodomo wo Undekure! for PlayStation 4 from Spike Chunsoft (Update: announced), and Root Letter: Last Answer for PlayStation 4 and PS Vita from Kadokawa Games. The latter was previously announced, but platforms were unknown. All titles are sorted alphabetically by publisher. 11:00 to 12:00 – Dreams – Using the game creation tool Dreams, Media Molecule staff creates an original game for ths “play on the spot” game creative live stage. Featuring MC Hatsune Matsushima, and guests Abbie Heppe (Media Molecule community manager), Kei Urano (SIE Japan Studio localization producer), and Natsuna Watanabe. 12:40 to 13:40 – PlayStation Network – A girls talk featuring guests Shiina Natsukawa and Asaka with Hatsune Matsushima. The theme is “Our PlayStation Network Life.” At the end, Asaka will perform a PlayStation Video Anime Special Medley Concert. Featuring MC Hatsune Matsushima, and guests Shiina Natsukawa and Asaka. 14:20 to 15:20 – Call of Duty: Black Ops IIII – A specialist introduction to Call of Duty: Black Ops IIII by pro gamers. Featuring MC Hatsune Matsushima, live streamer k4sen, and commentators Noriaki Suzuki and four pro gamers. 16:00 to 16:40 – Days Gone – An introduction of the open-world survival action game Days Gone through gameplay with the developers, who have come to Japan from America. Featuring MC Shuu Maruyama, and guests Christopher Reese (Bend Studio studio director), John Gavin (Bend Studio creative director), Jeff Ross (Bend Studio game director, and Kei Urano (SIE Japan Studio localization producer). 11:00 to 11:40 – Resident Evil 2 – An overview of the highlights of the survival horror remake Resident Evil 2. Featuring MC Shuu Maruyama, and guests Yoshiaki Hirabayashi (Capcom producer) and Tsuyoshi Kanda (Capcom producer). 12:00 to 13:00 – e-Sports X Blue Stage Live Relay: Fortnite – An online battle from the PlayStation stage on the e-Sports X Blue stage. Which pro players will survive in this 100-player battle royale? Featuring MC Shuu Maruyama. 13:40 to 14:20 – God Eater 3 – An introduction to God Eater 3, the first numbered title in the God Eater series in over five years. Featuring MC Shuu Maruyama, and guests Yusuke Tomizawa (Bandai Namco Entertainment IP general producer), Yuuya Tomiyama (Bandai Namco Entertainment producer), Hiroshi Yoshimura (Bandai Namco Studio general director), Ittetsu Suzuki (Marvelous development director), and Shun’ichi Toki (Zeke Pennywort voice actor). 15:00 to 16:00 – e-Sports X Blue Stage Live Relay: Call of Duty: Black Ops IIII – A digest of the Call of Duty: Black Ops IIII Competition grand finals on the e-Sports X Blue Stage. Featuring MC Shuu Maruyama, guest Hatsune Matsushima, and four winning teams. 16:10 to 16:50 – Sekiro: Shadows Die Twice – An introduction to the upcoming action adventure game from From Software, including its thrilling weapons and various actions enabled by the protagonist’s prosthetic ninja arm. Featuring MC Shuu Maruyama, and guests Yasuhiro Kitao (From Software) and Robert Conkey (Activision). 11:00 to 11:40 – Project Judge – Special demo gameplay of Ryu Ga Gotoku Studio’s new legal suspense game Project Judge from the PlayStation booth, as well as an introduction to the game’s highly dramatic nature and cast. Featuring MC Hatsune Matsushima, and guests Toshihiro Nagoshi (Sega Games general director) and Kazuki Hosokawa (Sega Games producer). 12:00 to 12:40 – Warriors Orochi 4 – Gameplay with the voice actors behind new character Athena together with Pile for the latest entry in the Dynasty Warriors and Samurai Warriors series crossover game. Featuring MC Hatsune Matsushima, and guests Masaki Furusawa (Koei Tecmo Games producer), Suzuko Mimori, and Pile. 13:00 to 13:40 – Kingdom Hearts III – An introduction to the world of Kingdom Hearts III, in which Toy Story, Big Hero 6, Frozen, and more appears as new worlds. Featuring MC Hatsune Matsushima, and guests Tai Yasue (Square Enix co-director) and Kanata Hongou. 14:00 to 14:50 – Let’s Play SIE WWS Titles with Shuhei Yoshida! – Gameplay and discussion with Shuhei Yoshida and development staff with hard to come by information and more. Featuring MC Hatsune Matsushima, reporter Shuu Maruyama, and guests Shuhei Yoshida (SIE Worldwide Studios) and the staff of Ghost of Tsushima, Deracine, and Everybody’s Golf VR. 15:30 to 16:40 – Death Stranding – Hideo Kojima returns to Tokyo Game Show after two years. Furthermore, he has come with the Japanese cast of Death Stranding. An introduction to Death Stranding, character casting details, behind the scenes stories, and then after that… this will be a event loaded with information you can only hear at Tokyo Game Show. Featuring MC Yuki Iwai (Haraichi), guests Hideo Kojima, Akio Ootsuka, Kikuko Inoue, Kenjiro Tsuda, Satoshi Mikami, and Nana Mizuki. Tokyo Game Show 2018 will run from September 20 to 23.